With the long-dreaded Seed of the woman delivered at Bethlehem, the prophecy of the Coming One has now been fulfilled. Lucifer realizes that any hope to win the war is slipping away and decides upon a desperate gamble - he will have to face the Son personally. With his demonic host to assist him, Lucifer makes plans to cut the Messiah down once and for all. Boasting that he will more than bruise His heel, Lucifer decides to destroy the Son from within his inner circle and sets his heart upon a dark plan that will end on the darkest day in history - or so he believes. 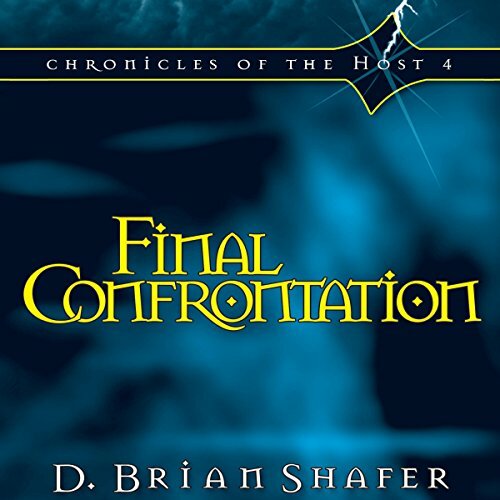 Set in and around Jerusalem, Final Confrontation describes the death match between light and darkness that reaches a brutal and bloody climax at Calvary. the narrative really brings these books to life. the emotion that is heard from beginning to end is memorizing. I would highly recommend this series to all.